Ardy Roberto and Miriam Quiambao-Roberto will speak on Money and Marriage at the Bo Sanchez‘ Kerygma Conference 2016 – Forward. Ardy Roberto is a best-selling author, an award-winning entrepreneur and sought-after speaker. He has authored eight books including the #1 national best-selling book, “Ang Pera na Hindi Bitin.” His other books include “The Heart of Healing,” which won a Gintong Aklat Award for Best Inspirational Book. His latest book, “Real Men are POGI – How to be Handsome in God’s Eyes,” also became a top 5 best-seller in National Bookstore. Ardy graduated from and attended Ateneo de Manila, Sophia University (Tokyo), Asian Institute of Management, Stanford University (California) and at the Mt. Carmel School of Ministry in (Haifa, Israel). He co-founded two top training and learning events companies, Salt & Light Ventures, Inc. and Inspire Leadership Consultancy, Inc., and was named one of Entrepreneur Magazine’s Top 10 Entrepreneurs as well as the Microsoft Most Inspiring Entrepreneur awardee in 2006. Ardy is one of Go Negosyo‘s teaching Angelpreneurs, travelling the country teaching and coaching Filipinos how to have the Success Mindsets of Entrepreneurs. 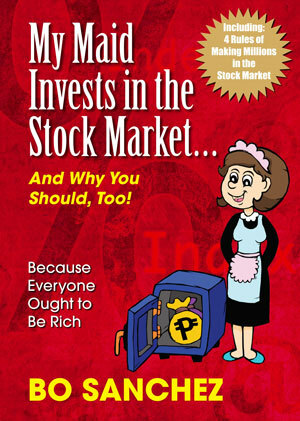 Ardy was once a widower but is now happily married to former beauty queen Miriam Quiambao who joins him in his lectures on financial management for couples. Join us at the Kerygma Conference 2016 on November 17 – 20, 2016. This entry was posted in Kerygma Conference and tagged Ang Pera na Hindi Bitin, Ardy Roberto, Bo Sanchez, forward, kerygma conference, Miriam Quiambao, money and marriage, Real Men are POGI, Salt and Light Ventures, The Heart of Healing on October 10, 2016 by Bobet Prudente.